I grew up in a village of Wendell, Idaho when the population was 1,000. The town’s claim to fame was that Larry LaPrise, the creator of the song “Do The Hokey Pokey,” may have lived in Wendell. The joke is that after he died in nearby Gooding, the undertaker tried to put his left foot in the coffin, and then the right foot in, and mayhem ensued. My father was born in Wendell in 1928, and both my parents, several aunts, uncles, cousins, my two brothers and I graduated from Wendell High School. We all shared some of the same teachers, desks, and mystery lunch food from the cafeteria. I was eager to leave town and escape to the University of Idaho when I was 17 but returned every now and then for a glimpse at the provocative reality show from my past. Last week I drove to the main intersection of town and needed my sunglasses to shield my eyes from the electric-blue, neon-bright building on the corner. 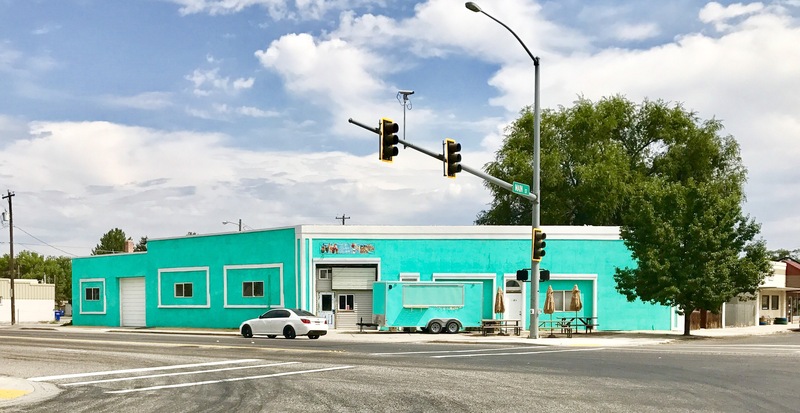 Apparently painted by an itinerate colony of crazy clowns with leftover circus paint, the unidentified store also sported a matching trailer with a window that may have served road food or offered a nefarious peepshow. The only lights on the outside of the day-glow structure came from the town’s one stoplight. We never had a stoplight when I lived there, but my widowed mother was cajoled by the city leaders into providing financial aid for the light when the town’s population exploded to 2,000 inhabitants. In the urban jungle of my current town near Boise, parking is such a premium that people will wait 30 minutes in the street if they suspect another driver is leaving a parking spot. They will turn on their blinkers and hazard lights and gleefully maneuver their vehicle in place, often before the other driver has completely exited. The meters now accept credit cards but only for two hours, so it’s common to see people abandon kids, shopping bags, and dignity to hustle back to their cars to refill the meter. However, along the streets in Wendell you could park several 18-wheel tractor/trailer rigs, a few cattle trucks, some tractors hauling trailers piled with hay, a Greyhound bus, and an old Ford pickup on Main Street. Most still have the keys in the ignition. Downtown – or is it DownVillage? – still holds the discarded, empty buildings from my past. 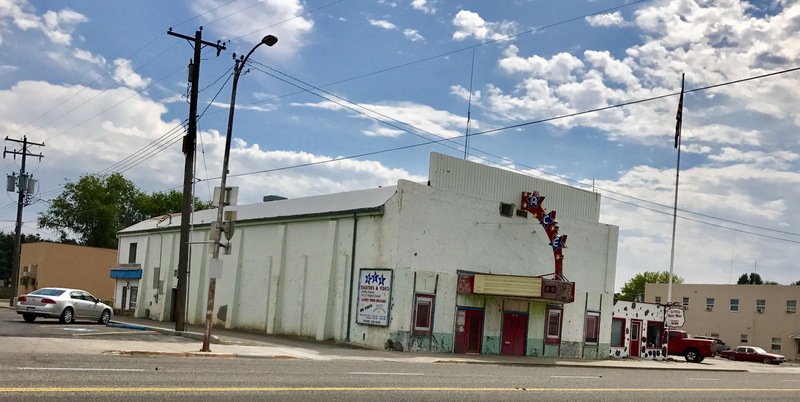 The Ace Theatre hasn’t been occupied for more than 20 years, but once it was the most popular attraction on Friday and Saturday nights, except for hometown sports events. I remember sitting in a movie with other students from junior high when a goofy guy held my hand. The thrill was worth the 75 cents I paid for admission. 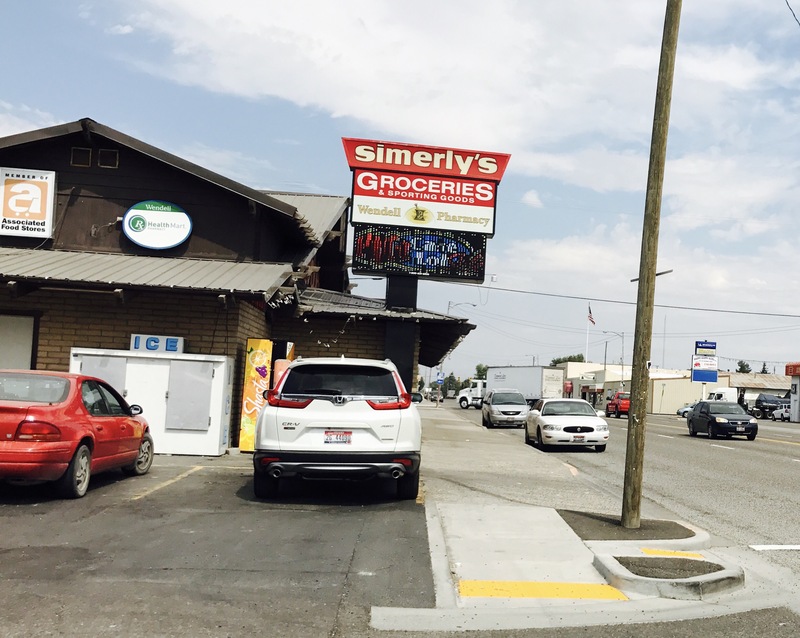 The best store in Wendell, then and now, is Simerly’s. 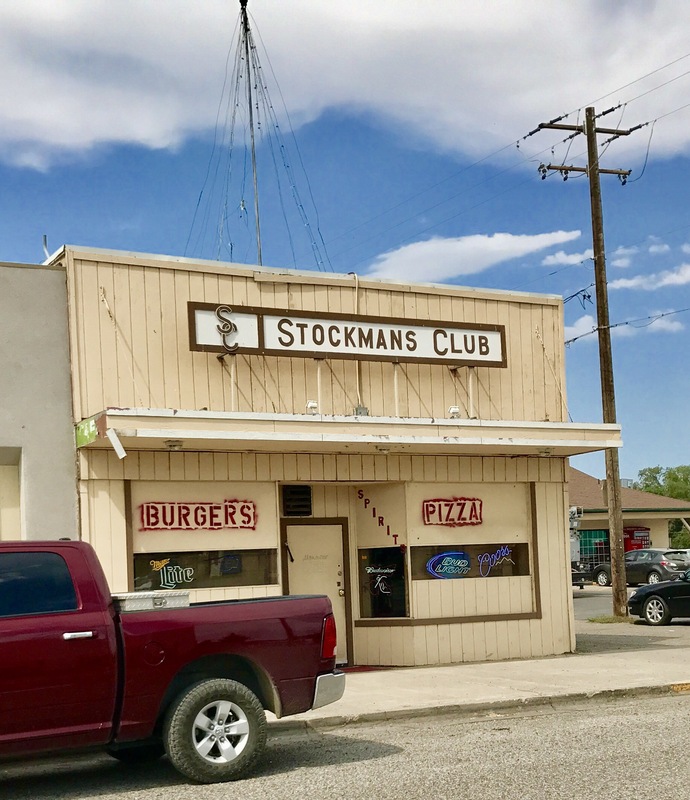 Family-owned for three generations, the business offers groceries, a pharmacy, sporting goods, live bait, fresh flowers, cold beer, clothes, friendly staff, and ammunition. When shoppers became more sophisticated, Simerly’s punched a hole in the wall, lined it with fake bricks, and cleverly called it a wine cellar. You don’t need to shop anywhere else. 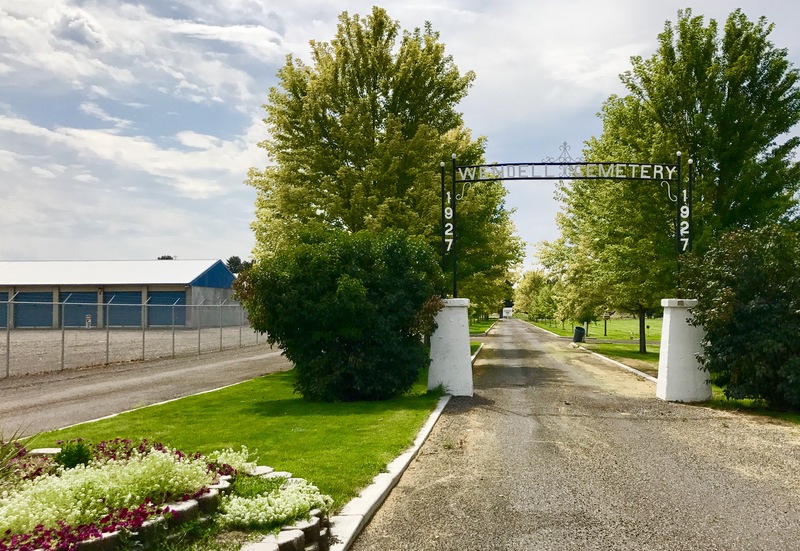 The Wendell Cemetery is conveniently located next to the mini-storage facility. Both entities hold the last remains from the cowboys, farmers, and strong women who passed on to their final reward and left behind eclectic possessions and memories. Many of my relatives are buried there, and I often meander through the grounds, having conversations with the familiar names etching into the headstones. I leave books, ornaments, and flags on my parents’ graves. That doesn’t seem to bother them. Before I leave town, I drive past my childhood home out in the country. My father built this mysterious rock fortress in 1963 and the architect claimed to be a student of Frank Lloyd Wright. I have no proof, but the style includes Wright’s familiar designs of polished cement floors, clerestory windows, built-in furniture, glass bricks embedded into the walls, and a flat roof. My dad decorated the interior with an eclectic assortment of purple toilets, a massive shield with swords, ashtrays on decorative pedestals, and wooden busts of Aborigines. I thought that was normal.